Floodlights at the stadium of Belgian football club Hoogstraten FC had to be reviewed following the promotion to the Second Division. 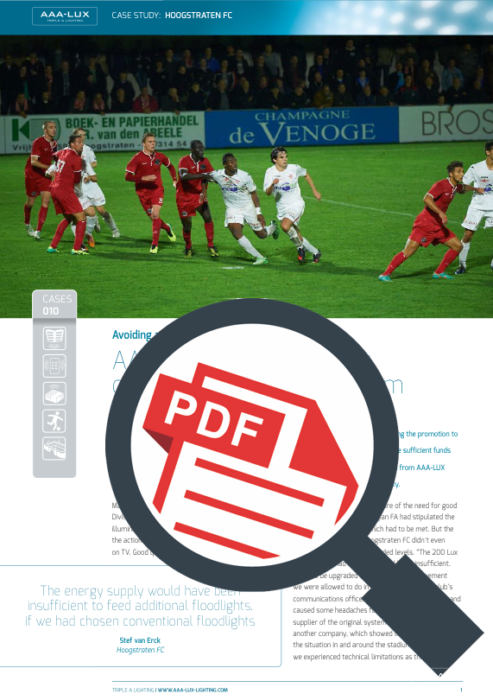 The Belgian FA demanded higher lux levels but Hoogstraten FC didn’t have sufficient funds to install additional energy generating capacity. The investment in high-power LED floodlights from AAA-LUX avoided the need for serious investments and prevented the club from being handed a penalty.